Congratulations go to always.a.silver.lining.blog and Sarah Cooley!! Both of you are the winners of a set of Bob Books!! I will contact Scholastic today and give them your information so that you can receive your prize. Thanks again to everyone who entered and for all of your great ideas!! I was reading Mrs. Pearce's "I Can, You Can, Toucan" Blog this morning and thought I would share her cute idea for an edible Chicka Chicka Boom Boom Tree. Deanna Jump's web site and Kim Jordano's web site both have cute ideas using the book Chicka Chicka Boom Boom. Kim's site has a class book idea as well as a math journal idea. I got this idea from Kim Adsit a few years ago when I saw her at Frog Street's Summer Splash. I have used it with my kids ever since. I use a traffic light behavior system so the note works perfectly. I went back and made the word helper signs into a single page (like Vanessa did) so that children can keep a copy at their seat with them or take them home for a reference. I also added 2 that Vanessa had - Buddy Bob and Elmer Elephant. I went back and made big word helper signs for Buddy Bob and Elmer Elephant too. Email me and I will send you the single sheet document as well as the 2 new big signs. 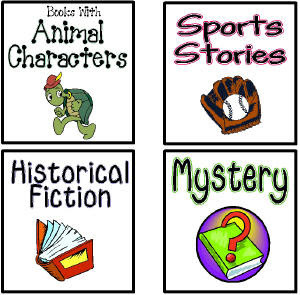 I am still working on creating a book mark like document for students to keep in their books with them. Thanks Vanessa for sharing your reading strategy cards! If you have a classroom blog, please comment to this post and share your blog address so that we can all check it out! If you go to Pre-K Pages, you can print off small reading strategy cards that are similar to the word helper signs. Thanks for sharing Vanessa! I just found this cute idea from Mr. Kindergarten's Blog. The students drew self portraits and wrote their name on a leaf. Then all the leaves were put together to make a class tree. I remade the helpful chunk signs. I found DJ Inkers clip art for all of them except for "th". The "th" sign is called the naughty brothers and is a face sticking its tongue out to illustrate the /th/ sound. I am going to have to think of another idea for "th" if I want the clip art to all be the same. Does anyone have any ideas? and of course...email me if you would like me to share the signs with you. I just found this great idea from Sarah Cooley's First Grader...at Last! blog. I used DJ Inkers clipart and created a set of signs for my classroom. I would love to share, so email me, if you would like me to send you a copy. These are instructions and a picture straight from Sarah's blog. Chunky Monkey and his Word Helping Friends! *Chunky Monkey: Look for smaller chunks you know inside the word. *Stretchy Snake: Stretch out the sounds in the word, and blend them together. *Eagle Eyes: Check the picture! *Skippy Kangaroo: Skip over the word and read the rest of the sentence, then try it again. *Flippy the Dolphin: "Flip" the vowel sound. If you tried the short vowel sound, try the word with the long vowel sound. Which one makes sense? *Lips the Fish: Get your mouth ready. Make the beginning sound of the word. Kindergarten...Kindergarten is having a blog party!! Kathryn wants to see pictures of your room! So when you're done setting up, get your camera out. Post the pictures on your blog, classroom website or a free photo-sharing website like Flickr or Picassa. Then simply use the link on her blog to share. Any primary (PK-2) classroom is welcome! On September 24, she will randomly choose one classroom to receive a $25 Lakeshore Learning Giftcard! Go to Kindergarten...Kindergarten... for more details! I found a new web site I wanted to share. There are lots of things on the site, but I have really enjoyed going through the themes so far. Lots of great ideas! Go to Mrs. Herbic's Themes to check it out. This link takes you to the themes page, so to see everything else, you will need to go back to the home page. I am very excited about being given the opportunity to host a Bob Books: Sight Words giveaway. I have been a big fan of Bob Books since my oldest child learned to read. After such a great home experience with Bob Books, I started using them in my classroom with my students. They have been a valuable tool in helping my students learn to read. 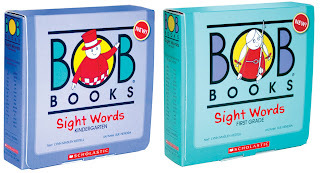 I'm looking forward to sharing Bob Books Sight Words for kindergarten and Bob Books Sight Words for first grade with TWO winners. From the #1 bestselling learn-to-read program comes two brand-new sets focused on learning and practicing Sight Words. Sight Words are words that are recognized by sight rather than sounded out, in order to achieve reading fluency. They are the most frequently used words in the English language, and are often unable to read phonetically ("was", "are", and "out" are examples). 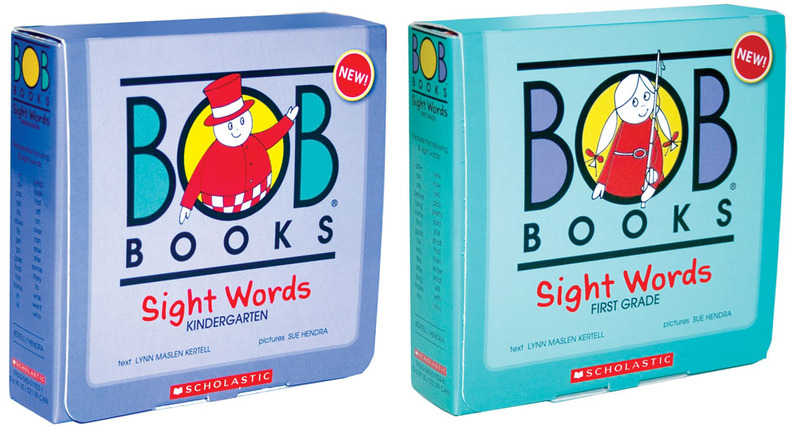 Bob Books Sight Words feature the top Sight Words in two sets-one for Kindergarten and one for first grade- in order to allow parents and children to read, learn and practice easily and enjoyably. Be sure to visit Scholastic's site to find out more information about Bob Books. You can also visit The Bob Books site. * In a comment on this post, share with me (and my readers) about a way you have used Bob Books with your own children or in your classroom. If you have not had any prior experience with Bob Books, share an idea or activity for working with students on reading skills. * Be sure to leave an email address along with your comment. * Deadline to enter is Friday, August 27th at 11:59PM EST. * Winners will be announced on Monday, August 30th. * Contest is open to U.S. Residents only, sorry for any inconveniences! * Winners will be selected in a random drawing. Thank you to Scholastic for sponsoring this giveaway and making it possible for us to giveaway two sets of Bob Books! I recently learned about a free website for Math Teachers of all grades, the site is Math-Aids.Com. 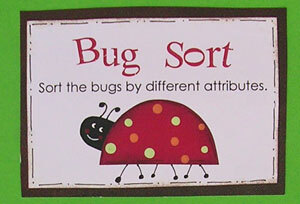 It has a Kindergarten section that allows you to create worksheets for all types of math concepts. The site is designed so that you can plug in whatever numbers or instructions you want and then a worksheet is created for you. This site would make a great assessment tool if you are wanting a hard copy to keep on file. Go to Math-Aids.com to check it out. A third grade teacher in my district shared this idea with me today. 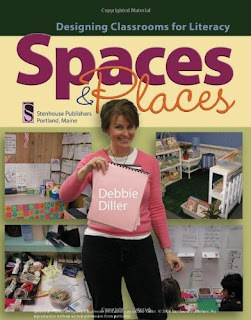 If you go to Flickr and join search "Debbie Diller" then you can join the "Spaces and Places" group. Once you have joined the group, you can share photos of your classroom, look at photos from other teacher's classrooms, and post questions you have about room arrangement organization. What a great resource. 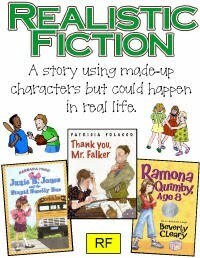 I just downloaded Deanna Jump's Literacy and Math Fun With Names from TeachersPayTeacher.com. It was $10 and well worth the money. The download includes 14 ideas for using student's names. There are several cute class book ideas. All of the masters and patterns are included. 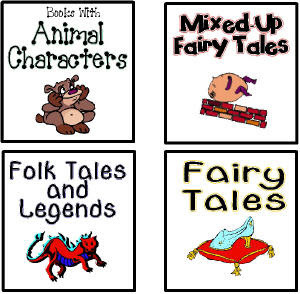 Go to Literacy and Math Fun With Names to view sample pages or purchase the download yourself. This idea came from one of my former teammates. Last year, instead of hunting for the Gingerbread Man, we hunted for Chester the Raccoon from the book The Kissing Hand. We read letters and followed raccoon prints around the school (I made black construction paper raccoon prints and taped them in various places all around the school) to learn where places were and who the people in our school were. When we made it back to our room, there were Hershey kisses waiting for us! Go to The Kissing Hand Hunt to download the masters for the letters. They are in Word format so you can replace my staff names with your own. Brown Bear, Brown Brown, What Do You See? The Virtual Vine has a page full of good extensions for use with the book Brown Bear, Brown Bear, What Do You See? They ask that no one copies or pastes graphics or text from their site, so you will have to follow the link Brown Bear, Brown Bear. For those of you who do a hunt for the gingerbread man to get your kids acquainted with the school and the people in it, this class book idea is a good extension- Where is the Gingerbread Man Hiding? The pictures from the site can't be copied and pasted so go to Where is the Gingerbread Man Hiding to see an example. You can print a template for the book at book template. Look Out Kindergarten Here We Come! Mrs. Gagne's Kindergarten site has a cute class book idea for kindergarten introductions. I tried to copy and paste pictures of the book but the site would not let me. 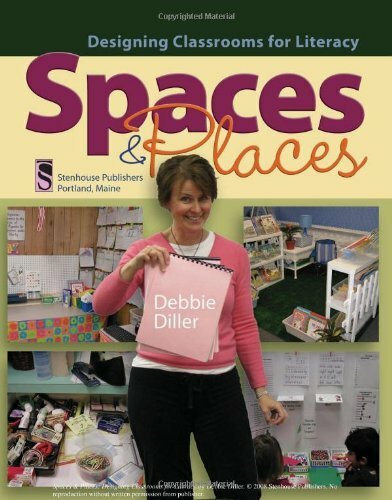 See an example of the book and cover at Look Out Kindergarten Here We Come and download a template at template. 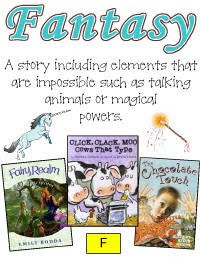 Beth Newingham's web site has a great set of genre posters and book basket labels that you can download and print. Here are a couple of examples of the genre posters.They are full page size. 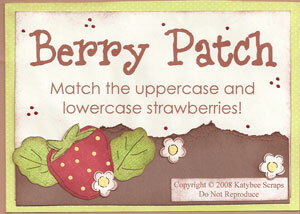 Here are a couple of examples of the book basket labels. Go to Kindergarten...Kindergarten to download full color file folder games.